At BlueWhite, we work with artists, whose work is an integral and vibrant part of Jewish culture. The majority of our artists featured on our web-site design entirely and make their Judaica mostly in Israel. Most of their work has been inspired by living and working in Israel and by being Jewish. Here, at BlueWhite, we have already built relationships with several unique Israeli artists and we buy direct to keep costs as low as possible. Yair is a graduate of the Bezalel Academy of Art and Design. He lives and works in Jerusalem. Born on a kibbutz, he grew up in Jerusalem in an Orthodox home and later in life adopted a more pluralistic approach to Judaism. His background has greatly influenced his art, which is based upon a fusion of traditional motifs and ancient Jewish manuscripts. Yair uses many different techniques in his art, including painting on silk, hand-embroidery, raw-silk appliqué and painting on wood. Most of the designing and making of the items is done at his factory in Jerusalem. Among the staff in his studio, you will find a mixture from all walks of Israeli society – new immigrants (from Russia, Ethiopia) and employees with a range of abilities. A portion of the studio’s profit is donated to charity. Mel is a UK artist and photographer living in Israel for over 25 years, renowned primarily for her photography, she specialises in dance and theatre. She is currently the official photographer for the City of Jerusalem Art and Culture departments. 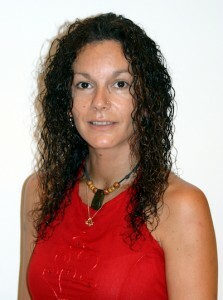 Mel has also designed some of the BlueWhite jewellery ranges and sources all BlueWhite’s products. 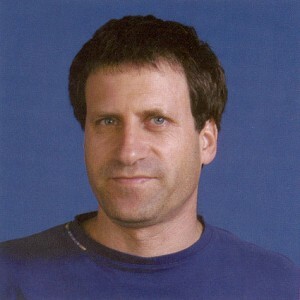 Adi was born in Tel Aviv in 1970. 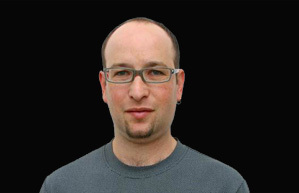 He is a Graduate of the Bezalel Arts Academy, Jerusalem, 1998, during which time he studied jewellery design and trends. Adi works in the mediums of stainless steel and aluminum metals, and combines plexiglass, wood, paper, rubber and other materials to create his characteristic clean minimilistic lines, with an emphasis on every detail, enabling him to create a high quality stunning product. Today, in his studio at his home in Shoham, Israel, he continues to innovate in Judaica. Safed Candles was begun almost two decades ago by a Safed resident, who was looking to start a small business that would provide employment for local residents. He set up his shop in a small cubby-hole on the edge of the Old City. There, a small staff of men and women hand-dipped and wove candles from beeswax into candles to be used for Jewish ceremonial purposes – for welcoming the Sabbath, for the Havdalah ceremony, Chanukah candles and more. The little shop began to grow and through the years, it expanded, adding paraffin candles to its inventory which were brightly coloured and decorated. When the manufacture of the candles became too much for the small shop, the candle-making operation moved to an old warehouse outside of the Old City, but the shop, where sculptures featuring famous scenes from the Bible (such as Noah’s Ark), are made and new designs are created, remained in place. Smiley Hassidic faces, carved Jewish stars, good luck Hamsas and many other images combine to show that Judaica can be created from anything…..even wax. In October 2008, a massive fire destroyed the candle shop, burning the structure and the entire inventory within a few hours. Within a few weeks, the staff had regrouped and reopened the shop in the small rooms which had previously been unknown, and the shop restocked and opened for business while the larger structure was rebuilt. The owners of Safed Candles emphasize utilizing environmentally-friendly materials in the manufacture of their candles, and are justifiably proud of their product. Zali & Noam Laserart Ltd has been running for over 15 years now. Before, Zali manufactured and marketed Judaica and gifts and Noam (his son) had his own business laser-cutting and engraving. They specialize in the cutting and engraving of wood by laser, combining in their creations silver-plated metal and mystical/semi-precious stones. Their creations are a result of advanced technology combined with traditional hand work. Eran Grebler is a second generation ceramicist. He is a student of Hedwig Grossman Lehman. 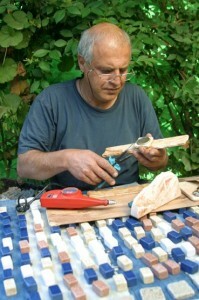 Eran works with different and irregular techniques. He creates draydels, chanukiot, seder plates, havdala sets, mezuzot and more. All designs are created and made at Eran’s factory in Pardes Hanna, near to the ancient city of Caesarea. 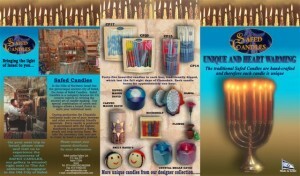 ART is an Israeli company which has been manufacturing and selling Judaica in Israel and worldwide since 1989. Art has set itself the target of preserving the relationship between the Jews of the Diaspora, Israel and Jewish tradition. For that purpose we are working day and night to create a range of products, accessories with both new and interesting possibilities of popular Jewish art originating from the Land of Israel – ancient and modern.